"Nobody respect my vision!" This is going to be an instant classic. 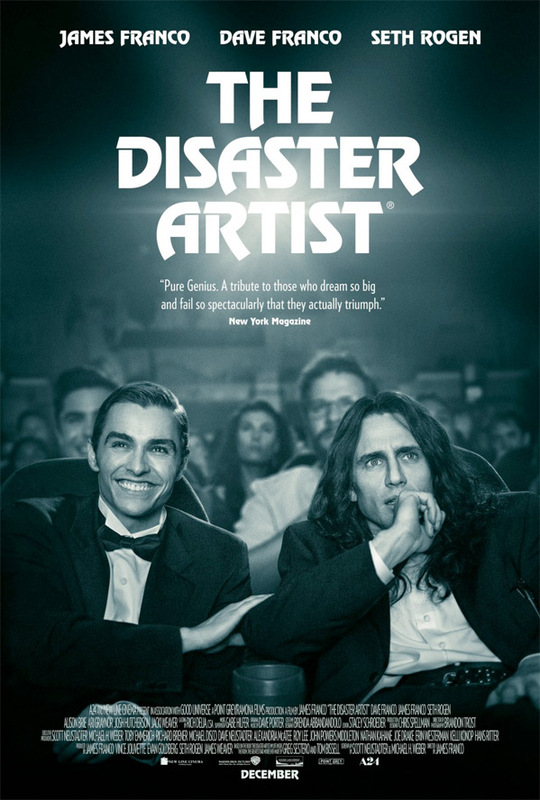 A24 has debuted the full-length official trailer for James Franco's The Disaster Artist, the film telling the story of infamous filmmaker Tommy Wiseau and his worst-movie-ever-made The Room (released in 2003). This just premiered at the Toronto Film Festival to a standing ovation. The film stars James Franco, who also directs, as Tommy Wiseau, the awkward mastermind behind the awful-but-beloved film. The impressive ensemble includes Seth Rogen, Alison Brie, Zoey Deutch, Zac Efron, Dave Franco, Bryan Cranston, Kristen Bell, Eliza Coupe, Josh Hutcherson, Sharon Stone, Adam Scott, Jason Mantzoukas, Kate Upton, Christopher Mintz-Plasse, Ari Graynor, with an appearance by Judd Apatow. This looks amazing, actually. Franco looks pretty much pitch perfect and word is he even stayed in character on set for the entire time. Have fun. You can still watch the first teaser trailer for The Disaster Artist here, to see even more footage from this.